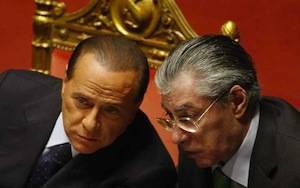 ROME—In this bleak and scandal-ridden winter’s last two votes of confidence in Parliament, the Northern League made fiscal federalism a condition for support of the government of beleaguered Premier Silvio Berlusconi. For Umberto Bossi, head of the League, federalism has been a battle cry for the past twenty years, and his voters have been promised that fiscal federalism would curb state subsidies to the Italian South, meaning that Northerners would pay lower taxes. Most recently Bossi issued an ultimatum that, unless fiscal federalism were enacted by the end of January 2011, he would make sure new elections take place two years ahead of schedule. Two laws establish the theoretical existence of federalism: a reform bill of Title V of the Constitution, approved in 2001, and a 2009 law that establishes the principle of that taxation income and expenditures should be correlated. So far only minor norms putting this principle into effect have been passed, however, and before this framework law can take effect, a joint commission of the Ministries of the Economy and Finance must produce enabling legislation. The six projected enabling laws, which are aimed at a gradual increase in local and eventually regional autonomy (that is, devolution), was sent for consideration to the 30-member joint Chamber of Deputies-Senate commission. By its terms, municipal governments, and in this first legislative round only they, would collect a single local tax and then spend the money in proportion to the amount of the taxes raised. In theory, then, the North, with its stronger economy, would be able to collect more taxes and provide more services to its citizens than the poorer, more agrarian and bureaucracy-dependent South. To Northern voters this means they would no longer be subsidizing the South, as they see it. Some critics of the bill believe that fiscal or municipal federalism, as conceived today, would inevitably increase the North-South divide. Others doubt that the municipalities will be able to raise as many taxes as hoped. If, as many now predict, the result is instead a drop in income for townships all over Italy, a knock-on effect could be the further destruction of the Italian landscape as city officials compensate the lack of income by selling off land parcels to building speculators. For Berlusconi, fiscal federalism was a promise he had to keep, not least because Bossi is the beleaguered Premier’s sole remaining ally in government. Bossi, on the other hand, had to demonstrate his party’s clout and counter any suggestion that its ministers, like Roberto Maroni, the Interior Minister, were supine bridesmaids standing at the altar to prop up a wobbly bride. Center-right hopes were therefore high last week when the joint commission convened to vote the on the government’s draft of this first concrete step. In the event, the commission stalemated in a fifteen-fifteen vote, but too much was at stake to let it go at that. 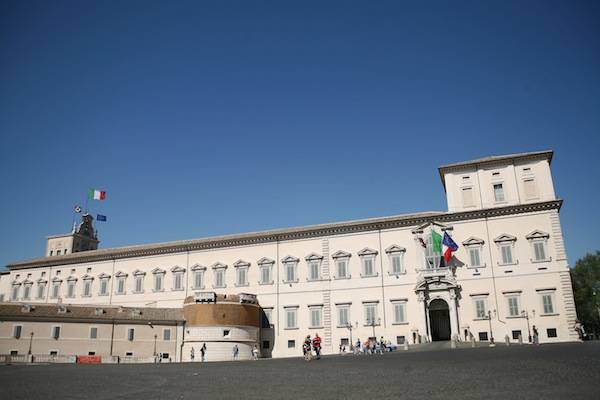 Ignoring the outcome, ignoring Parliament itself, Berlusconi whisked the draft bill off to the Quirinal Palace for ratification. Instead Italian President Giorgio Napolitano returned the bill to sender, with comments that it was “unreceivable,” poorly drafted and generic. What are the repercussions of rejection? 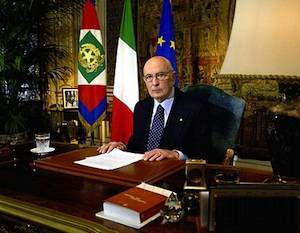 This is like reading tea leaves, but it is a safe bet that Berlusconi knew full well the bill would be rejected, but preferred that blame for blocking federalism be cast on President Giorgio Napolitano, rather than on either the draft law text or its insufficient Parliamentary support. “It’s as if Napolitano has already decided at this point that early elections are the lesser evil,” one insider opined. Others counter that Berlusconi seems to be simply playing for time and has only to wait a few weeks before it is too late for elections to be called for this spring. Perhaps this is the case; Bossi’s January ultimatum seems forgotten, perhaps because lack of a victory in this particular cause would weaken the League in an election campaign just now. To many, the rebuff showed that the government itself, like the parliamentary commission, has come to a screeching halt even though Berlusconi is announcing a schedule of reform projects. 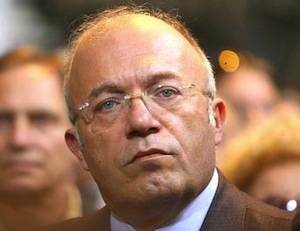 He is also seeking new allies, and so, to beef up the numbers backing his government, Berlusconi reportedly plans to name Nello Musumeci a deputy cabinet minister. Musumeci is one of the followers of the rightist Francesco Storace, formerly of the Movimento Sociale Italiano (MSI). Storace’s party, La Destra, commands less than 2% of the electorate, but in Berlusconi’s paper-thin majority, another vote or two can help keep him in office. In recent votes of Parliament the government’s margin has been so slender that governing the country is extremely difficult. The problems are not lacking: a public debt of 1,800 billion Euros, growing unemployment, a sagging economy, a breach with the manufacturers of the Confindustria association, toxic rubbish still plaguing the South, and students angered by cutbacks in schools and universities.